This practice has irked me for decades. In higher education we see it more often reported in relationship to highly paid athletic coaches and athletic directors when they are fired. The rest of us stiffs can work 30 years or more and retire with maybe a watch or other symbol of appreciation. Not the high rollers. On top of extraordinary salaries year after year, they walk away when they are finished with benefits the rest of us cannot fathom. Case in point is the Lansing State Journal story yesterday on the former Michigan State University president. It is a common practice for tenured full professors, not for the rest of us, to get an extra year of salary when they retire for basically doing anything they want, or not much at all. Now the janitors, food service workers and others who make somewhere between $30,000 - $40,000 or so a year, might get handshake when they leave after 30 years. The MSU president who made millions over the years at MSU will make an additional $700,000 for her first retirement year and then some $562,000 year thereafter. The janitor/food worker would have to work 40 hrs a week for 14 to 18 years to see the kind of money the lame duck receives. Of course, the president is not the highest paid campus employee. That honor would go, like in most states, to one of our coaches. Men’s basketball coach squeaks by on $4.2 million (2017). While head football coach got a juicy raise this year (2018) of $700,000, because $3.6 million wasn’t enough, putting the two at parity. Lord only knows what golden parachutes they will exit with. MSU is a public institution, for which it is hard to justify how high these salaries go. Unless, of course you raise the feeble neoliberal argument that the market is the supreme ruler that trumps any other value worth consideration. MSU doesn’t report its median salary – that point between which half of the employees make more and half make less, at least the last time I tried to find it. While there are many professors and administrators who make six figure salaries the vast majority of those are between $100,000 - $300,000. A relative handful rise above that level. The median household income in Michigan is $52,492. That’s a household income, not a per capita income. According to a study from 2016 by the Michigan League for Public Policy, Michigan is the 11th worst state for income inequality, where the top 1% earn more than 22 times than the bottom 99%. If MSU’s lowest salary is approximately $30,000 then if that ratio (22) transfers to campus, the 1% would make more than $660,000. There are probably roughly 10,000 full-time employees at MSU. The 100 highest paid would be a rough equivalent of the 1%. 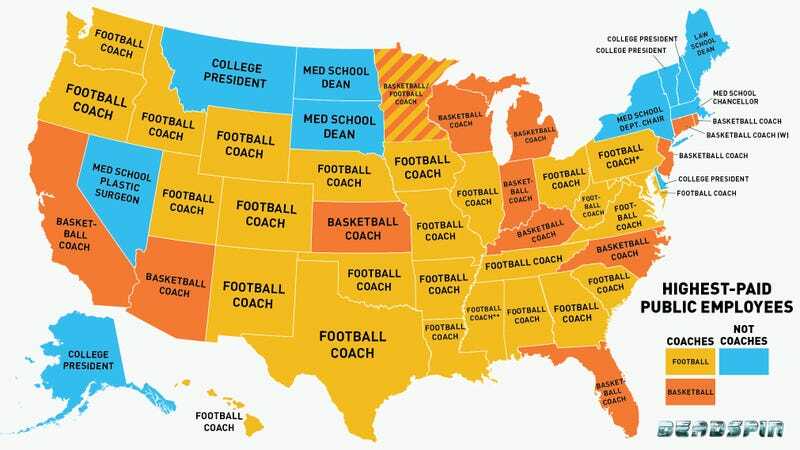 Our highest paid coaches each make about 140 times the lowest paid employee. Of course golden parachutes are never calculated into the 1% income stream. They are hidden. Growing income inequality is one of the biggest challenges facing the human family here and abroad. While raising the floor to ensure everyone can live a decent life for working 40 hours will help, the unconstrained acceleration of wealth accumulation at the top needs to be halted if this gap is to reach some more morally defensible level. You would think a public institution would have that as a key goal and want to provide a model for its students to observe . But if we continue to hire leaders who continue to imbibe the neoliberal kool-aid, we can be sure the accelerating inequality will grow. Perhaps the LSJ story can inspire a serious conversation about this most serious and growing problem.